Well, the PGP has saved my PSP from falls several times, so it serves it\\'s main purpose exceedingly well. The clam-shell case is attached by a latch at the bottom of the case, and some people have complained that it will come apart, so I wouldn\\'t recommend dropping your PSP for kicks, but it\\'s a very secure way to transport your PSP, I almost always have my PSP in it. The only reason I would take it out is because the corner near the opening by the power switch is not fully rounded on my PGP and can cause discomfort if I grip the PSP hard. One other feature of the PGP is looks. 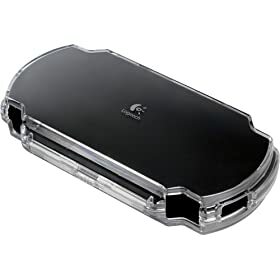 It\'s very sleek black and clear look it an exceedingly stylish way of transporting your PSP, as well as many skins that can be applied to the PGP to customize it for your playing pleasure. For an MSRP of $19.99 it\\'s less then 10% of the price of a new PSP, it\'s probably the best insurance you can buy for your PSP, and provides the best protection of the cases available.